ENDESGA Studios: Brace yourselves. ALPHA is coming. NIKRA is getting closer and closer to ALPHA. I can't wait to show you guys all the amazing features and stuff is has to offer! "What does it mean for NIKRA to be in ALPHA?" "Can I play the ALPHA?" "When is the ALPHA? And the BETA?" BETA is still a long way away; but hopefully before 2015! "Is NIKRA going to have modding capabilities?" Probably not. Since NIKRA is a standalone game, modding would be difficult to implement. But I can easily add items in the hard code. On a side note, Dungeons have loot! As well as more monsters to destroy! Once NIKRA hits ALPHA, it'll then be crammed with content until BETA! *Subject to change if uncompleted. Oooh Alpha! Awesome to see this game progressing so well. 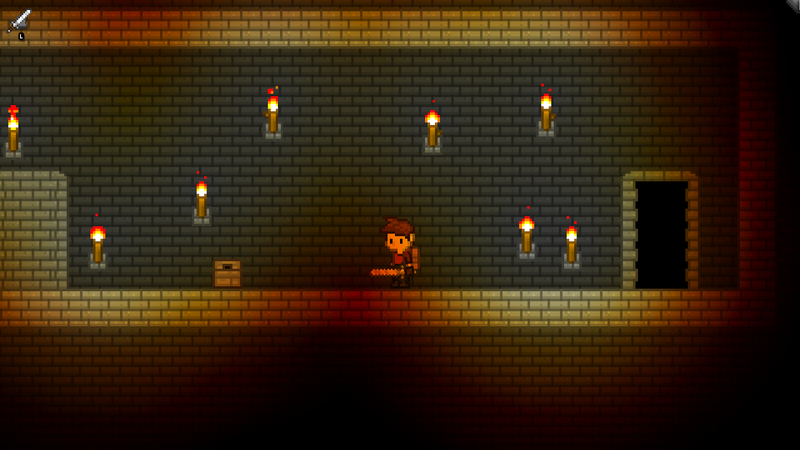 Also, the lighting looks quite nice on those torches! though the edges might be a bit red. Also, I don't know if I commented on it before but I personally like the old Nikra sign better than the new one. Also that sun and those background trees are pretty~ Can't believe I never noticed em before. I hope you choose me for one of the testers at least. I can't wait to play it, it looks awesome! Thank you so much for your interest! When I said "specific people", I really meant SPECIFIC. As in, only people I trust etc. i can test this amazing game for you i have a low end computer so i will see how good it runs on that and also i make video games too. I'm thrilled that you guys are keen! But when I wrote this Blog Post, I already had a people in mind.